I’m Steven Cairney and I run the A-Star Sports Dundee and Angus franchise. Skilfully assisted by my wife Michelle with the administration of the business, we currently offer weekend birthday party entertainment and school holiday activities. I graduated from the University of Abertay Dundee with BSc (Hons) Sport, Health & Exercise in 2005. Drawing on experiences gained when working with Dundee United Football Club and my background in swimming teaching, I decided to embark upon a sports coaching career. Eleven years on, I still love what I do as much as the day I started and take great pleasure from working with children on a regular basis. To keep up-to-date with local developments, newsletters and events, or for the latest offers on our classes, parties and holiday clubs, please also visit us on Facebook. At present we are not currently offering any weekly, term-time classses. I (Steven) have made the decision to fulfil a long held ambition to return to University to retrain as a Primary School teacher. 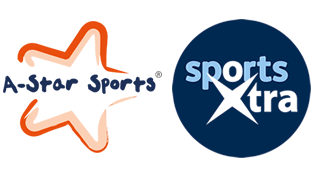 A-Star Sports, Dundee & Angus will therefore not offer any weekly classes between Monday 22nd August 2016 through to 30th June 2017. I would emphasise that we ARE still open for business in terms of offering weekend birthday party entertainment and I would reiterate that it is our intention to offer school holiday activities if my University timetable is favourable. Please watch this space for details of our annual Christmas Eve Holiday Club. 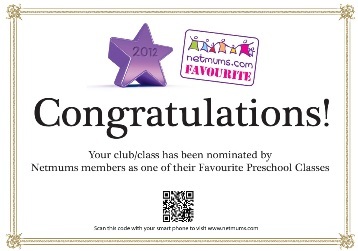 Our pre-school classes in Dundee & Angus are among Britain’s best after being nominated by customers for a top national award run by the UK’s biggest parenting site Netmums.com Thank you for nominating us! 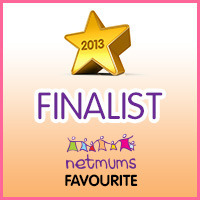 Our birthday parties in Dundee & Angus are among Britain’s best after being nominated by customers for a top national award run by the UK’s biggest parenting site Netmums.com Thank you for nominating us! Our parties are so good they have inspired poetry. Click here to read a wonderful poem about our very own Steven Cairney (Dundee & Angus) has been written by customer and poet Helen Reuter.